The team leader for a 2012 independent review of the Muskrat Falls project said he was 'angry inside' during testimony at a public inquiry Tuesday because of information that was not disclosed to him. It took hours of testimony before he said it, but Paul Wilson admitted Tuesday he is not happy with Nalcor Energy. "I am angry inside, actually a little bit, I have to admit," Wilson said during his second day of testimony at the Muskrat Falls inquiry in St. John's. The former energy consultant said he was "sorry he brought it up" when pressed by Geoff Budden, lawyer for the Muskrat Falls Concerned Citizens' Coalition, but later finished his thought. "Not necessarily [at] the client or the government of Newfoundland," Wilson said, "but at Nalcor for not disclosing this information." Wilson was the leader of a group of experts working for Manitoba Hydro International, hired in 2012 by the Department of Natural Resources to review the least-cost option for the province's future electricity needs. They were given two options: the interconnected Muskrat Falls option, which was already the preferred choice of Nalcor and the government, or an enhanced, isolated island option that would rely largely on the volatility of world oil prices. After a review of information provided by government-owned Nalcor, the province's energy corporation, Manitoba Hydro agreed that Muskrat was the least-cost option, and was ready for sanctioning. 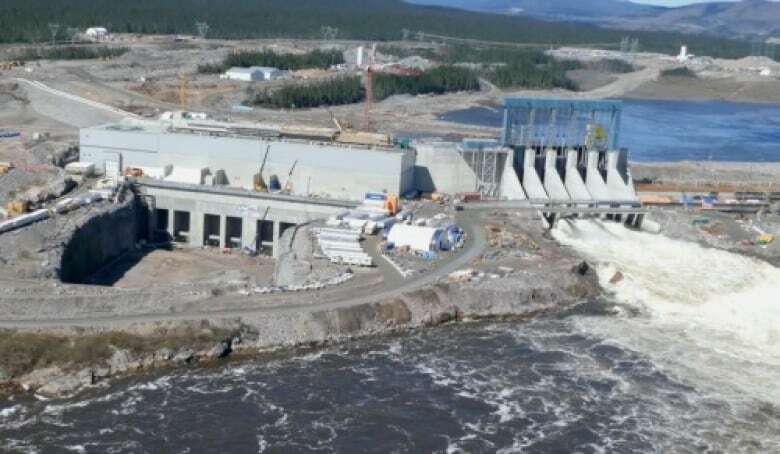 Their October 2012 final report was repeatedly described as independent and heralded by the administration of then-premier Kathy Dunderdale as further proof that Muskrat Falls was the best option. Weeks later, the project was sanctioned at an estimated construction cost of $6.2 billion. What happened next is well documented, with costs soaring by more than 70 per cent, first power delayed two years, electricity customers facing the prospect of a doubling of power rates, and now a public inquiry trying to determine why things went so wrong. And now revelations at the inquiry that some information that may have impacted the cost of Muskrat was withheld from Manitoba Hydro. This includes a risk assessment done for Nalcor that recommended a strategic reserve of nearly $500 million. Earlier evidence at the inquiry detailed how the provincial government, Nalcor's lone shareholder, was to "assume"' this reserve. And the Manitoba Hydro team, according to testimony, was also in the dark about a Nalcor finding that determined there was just a one per cent chance of delivering first power from Muskrat in July 2017. Budden seized on these points Tuesday. "Are you angry at the client for not having given you such important information and leaving you here at a public inquiry to defend a flawed report?" Budden asked. Budden also focused on earlier admissions by Wilson that some references to project risk that were included in draft versions of their report were omitted from the final document. Budden referred to the changes as "glaring omissions," and added, "I'm suggesting that all of what wasn't disclosed to you that you subsequently became aware of would have added to the cost of the Muskrat Falls project." Muskrat critics have suggested these changes are proof that Manitoba Hydro's report was not independent, and was intended as yet another tool by government to push through the sanctioning of Muskrat Falls. Wilson replied that his team reviewed the "base cost estimates." "If there was information that wasn't provided to us that has impact on those costs, yes, I would agree with you there." Budden alleged that information was withheld from Manitoba Hydro in order to lower the cost estimates for Muskrat and make the project more appealing to the public. "These are things we did not know at the time," Wilson responded. Budden's description of Manitoba Hydro's report as flawed, meanwhile, drew a sharp response from Matt Kast, who also worked for the utility at the time. "Given the circumstances at the time … I think we did a darn good job," said Kast. Budden shot back: "It was a flawed report. Are you denying that?" Wilson and two other senior members of his team, Kast and Allen Snyder, were scheduled to testify for one day at the inquiry. But their appearance was extended into Tuesday, with lawyers for various groups with standing questioning the Manitoba Hydro panel on a wide range of issues related to their work. There were moments of tension as the panel tried to defend their report and its independence, and plenty of interest in the level of involvement the provincial government and Nalcor officials had in the production of the final report. Wilson said there was "no pressure" to change the contents of the report, and when challenged to identify who had ordered certain changes to be made, he said he could not recall. So who ordered the changes? His answer was the same when asked about the probability factor issue. In draft reports, Manitoba Hydro highlighted the fact that Nalcor was using a p-factor of 50, which essentially means there is a 50 per cent chance there will either be cost overruns or underruns. But in the final report, any reference to p-factors was removed. The forensic and investigative audit of Muskrat Falls by Grant Thornton questioned Nalcor for using only a P-50, saying the risk factor for a "one-off" project like Muskrat is higher. Had Nalcor selected a P-90 factor, for example, it would have added nearly $800 million to the cost estimate, according to Grant Thornton. Snyder said it was common for Manitoba Hydro to send draft reports to their clients to ensure there were no errors, and he denied that there was any "political pressure" to sanitize their report. "We had developed a good working relationship" with officials from government and Nalcor, said Snyder.